Online fee & item payments allow parents to pay 24/7. Assess mandatory financial obligations to parents. Next day funding gives schools the needed funds on the next business day. No waiting period. Sell items, solicit donations, assess fees and financial obligations. Webstore has the ability to upload item images, sell products with different attributes and prices, complete accompanying forms during purchase. Online payments allow parents to pay for items, fieldtrips and more 24/7. Recoup money by assessing fees and fines to students. Increase donations with open-ended giving. Eliminate fraud by ensuring financial transparency and eliminating cash transactions. Online payments complies with payment card industry standards keeping card holder information secure. As a payment card merchant, you will have next day funding and direct deposit to bank account. Access to the virtual terminal allows direct refunds to cardholders. Process payments online, in person and through mobile card readers. Accept payment ANYWHERE. Reconcile and close-out orders to distribute funds by general ledger (GL) accounts. This year we estimate that over 75% of parents responded with returned books or money because the fines were included in their online registration. The high school collected over $1,000 in old fines due to us. This was an unprecedented amount of money for us to recoup! 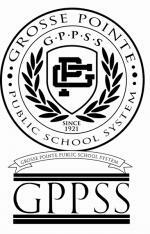 Learn how Grosse Pointe Public Schools recouped fees and fines.